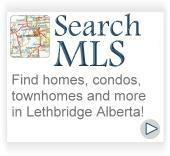 Expect A Smarter, Bolder, Faster performance when selling your Lethbridge Real Estate! 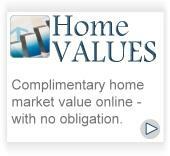 List your home with confidence that it will sell fast & for top dollar, with our proven marketing concepts. Your home is worth it. The days of the three “P’s” in real estate are over! - "Put up a sign, Put it on MLS & Pray that it sells"
We strive to potentially make you thousands more on your sale or save you thousands when buying. Century 21 Foothills South Real Estate has systemized our office to win not only your business, but also your trust. 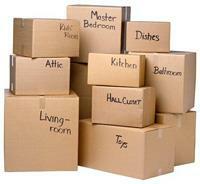 We have not completed our job until you are satisfied and willing to refer our agents to your friends and family. Moving trailers. First come first served (Conditions Apply). Up to 3 hours staging consultation. Access to over $1000's of dollars worth of accessories (some conditions apply - First come first served bases) . Security package to maximize protection for you and your family. 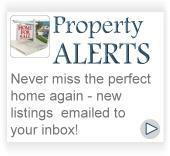 We put you on an auto email system that sends you information on all newly listed houses that come up for sale to keep you abreast of your competition (if desired). Virtual tour on our website to minimize showings on your property so you don't need to keep it perfect as often. Extensive picture package of your home and surroundings to maximize information about your home as well as age of improvements and room measurements . List of: surveyors, painters, carpenters, electricians, rubbish removers, plumbers, lawyers, appraisers, maid services, window companies, landscapers, carpenters, kitchen cupboards, companies, lawn care companies, light companies, moving companies, stucco and siding companies, storage facilities, cement companies, renovations contractors, counter top installers, etc. 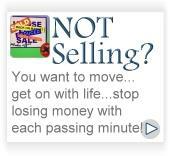 and 200 other high traffic Syndicated Real Estate websites. Transformation information to potentially get you thousands more for your home. Transformation information for your new home so you can get a totally remodeled home before you move in. Ad's in the Lethbridge Herald Showcase magazine as well as Homes and Land magazine with constant site promotion of top5.ca to bring traffic to your home. House uploaded to Kijiji, Craigslist, and Homes Across Canada. Counters on Kijiji, century21 foothills south real estate and MLS.ca to show how many people have looked at your home online. Feedback on showings, if you wish and is available. Monthly review of what your direct competition has done, sales stats and sales comparables (if desired). Satellite imaging of your home on century21 foothills south real estate. 24/7 answering service to get in contact with your Realtor®. Address change cards (if desired).